Hurricane Michael will make landfall on Florida’s Northern Gulf Coast this afternoon. It will be the strongest storm to hit that area on record, so all of the hype you may have seen or read is truly justified. This is a storm reaching its peak or strengthening at landfall. That will allow maximum impact for storm surge in addition to wind and rain. Michael jumped to 150 mph winds in an interim report at 11:30 AM. The central pressure keeps dropping and is on part with Andrew. This may be challenging Category 5 intensity before landfall. 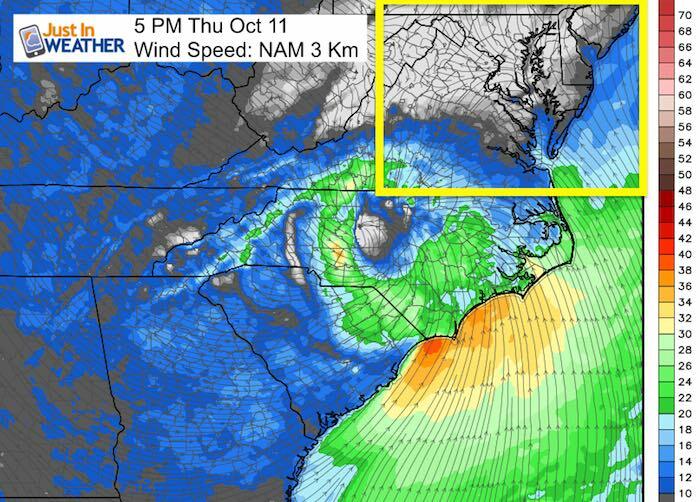 The storm will speed up as it moves north, and then curve out to the Atlantic near Virginia Beach. That forward speed will allow this to maintain tropical storm intensity. 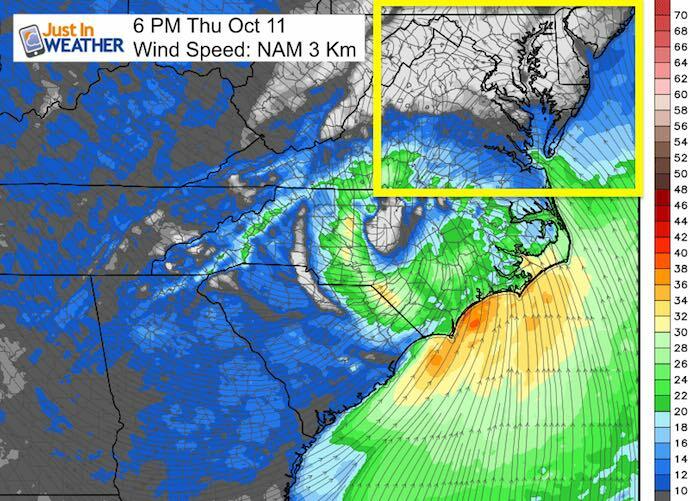 The size will allow the wind field to spread out as the core Low will show its strength into southern Maryland. 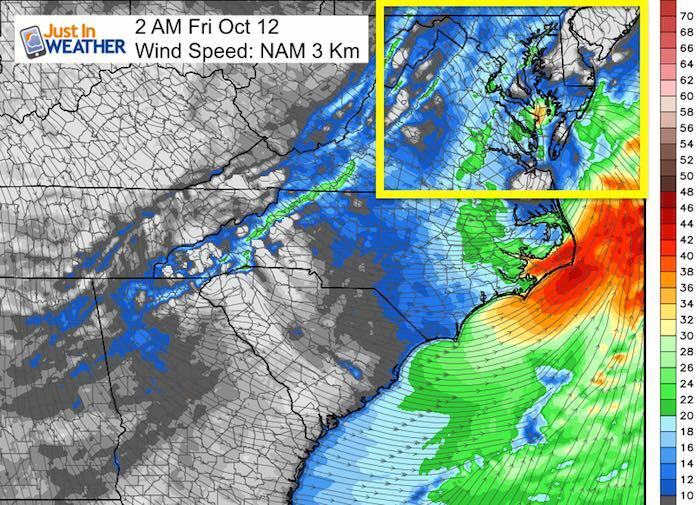 Winds will reach tropical storm ‘gusts’ near Baltimore Friday morning! It is important to note that the cold front helping to steer Michael will also make for more turbulence. 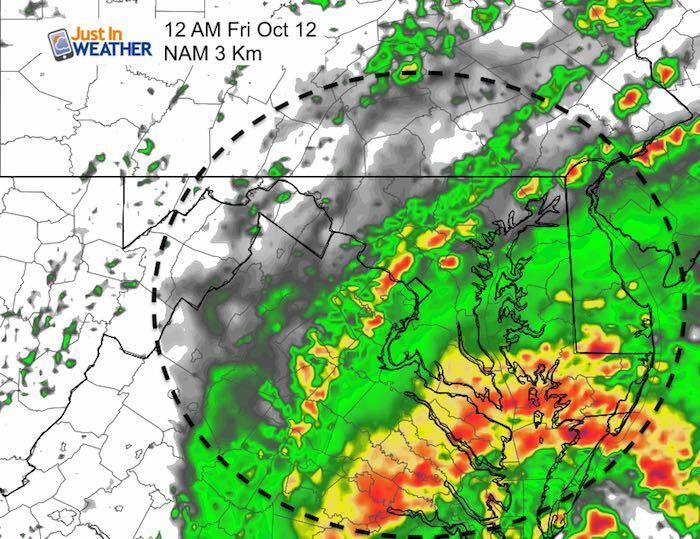 But the core tropical storm intensity will be in southern Maryland and into Ocean City area. Ocean City could get winds to 65 mph. The Bay Bridge will have restrictions with winds around 45 mph. 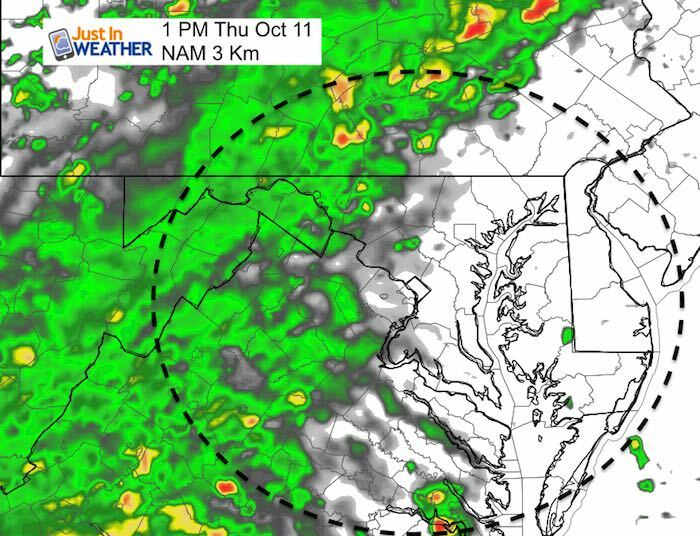 Metro Baltimore will how winds between 35 and 45 mph…. But that is more due to the cold air spilling in behind the cold front. Below is a look at how this will impact our region in the Mid Atlantic with wind and the rain timeline. I want to show the maximum intensity of the view from above before jumping to our local impact weather. The symmetry of the eye proves this ill hold strong or intensity a little more as it makes landfall. 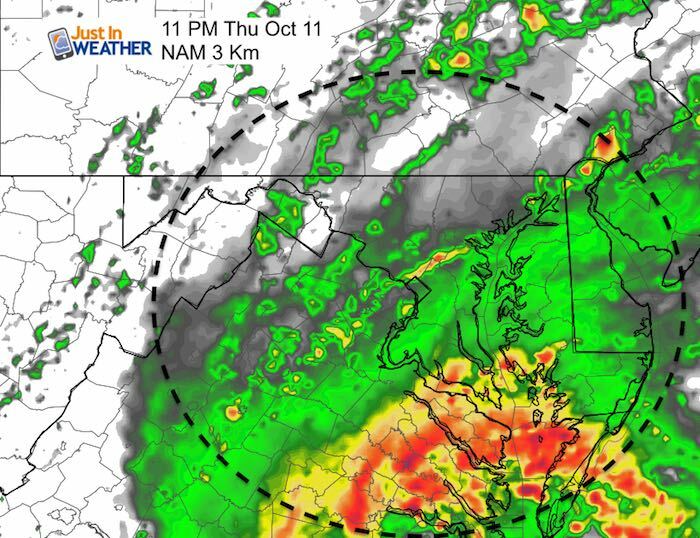 Metro Baltimore will have wind gusts 35 to 45 mph thanks to the cold front and air rising in towards the departing hurricane. 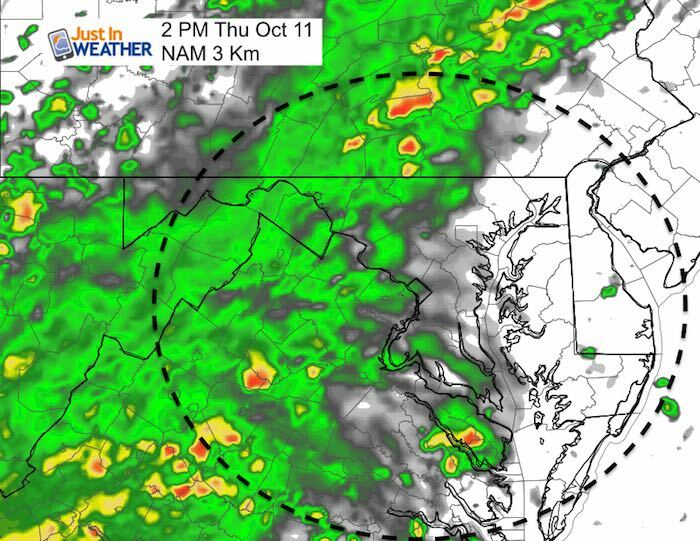 We may see some thunderstorms with the cold front around midnight in metro Baltimore just as the core rain and wind reaches southern Maryland. Two separate systems!!! !